Made from concentrated dyes in a liquid watercolor base, Ecoline Brush Pen Markers are easy to apply, mix cleanly, and adhere well to many surfaces. The brush nib covers large areas or draws fine details. 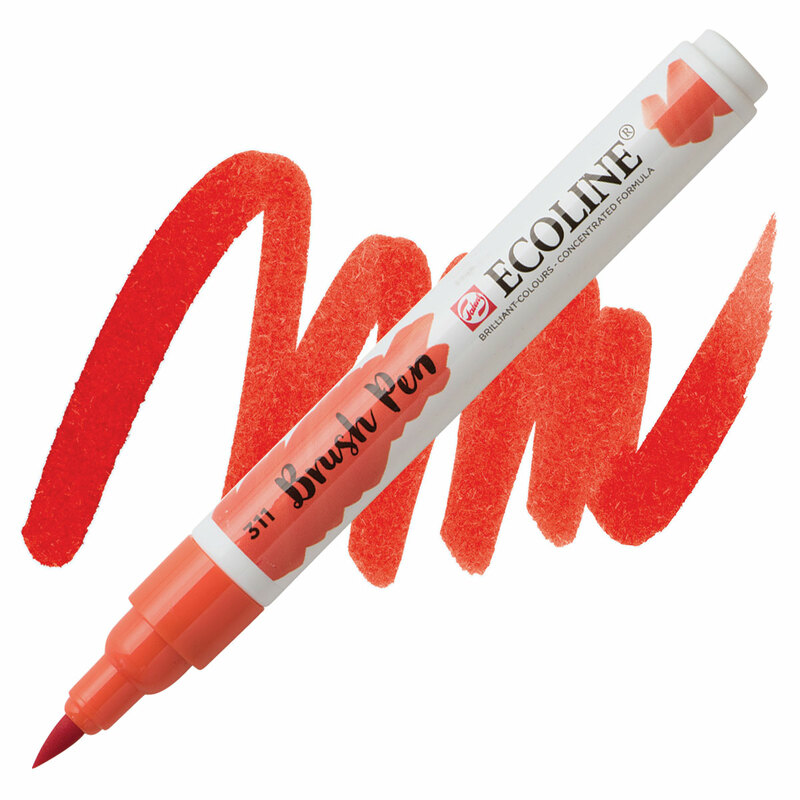 Shares a harmonious color range with Ecoline Liquid Watercolors. ™ Royal Talens is a trademark.® Ecoline is a registered trademark.